As the Braves head into Philadelphia for their season opener Thursday afternoon against the Phillies, the pitching matchups have been set. For the Atlanta Braves right hander Julio Teheran will make his sixth consecutive Opening Day start. Coming into this Opening Day, Teheran posts a 2.73 ERA. The Phillies will send Aaron Nola to oppose the Braves. 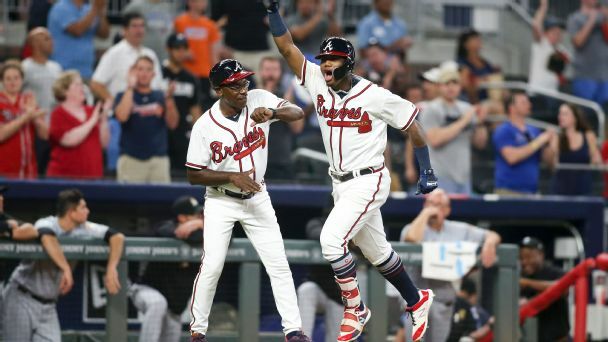 The Braves and the Phillies finished first and second in the National League East respectively in the 2018 season. Atlanta will look to repeat as the 2019 National League East Champions, meanwhile the Phillies with Bryce Harper look to retake the National League East crown this year. Who will start out the season with the W this year? Find out Thursday afternoon at 3:00PM when the Atlanta Braves take on the Philadelphia Phillies in the season opener at Citizens Bank Park in Philadelphia. Turn into ESPN Coastal (Savannah 104.3/1400, Coastal Georgia 103.7/790, Hilton Head 92.7/1400, Okefenokee 98.5/1350) to catch your Atlanta Braves take on the Philadelphia Phillies.